A useful bag that works for both everyday and fantasy events is ideal. 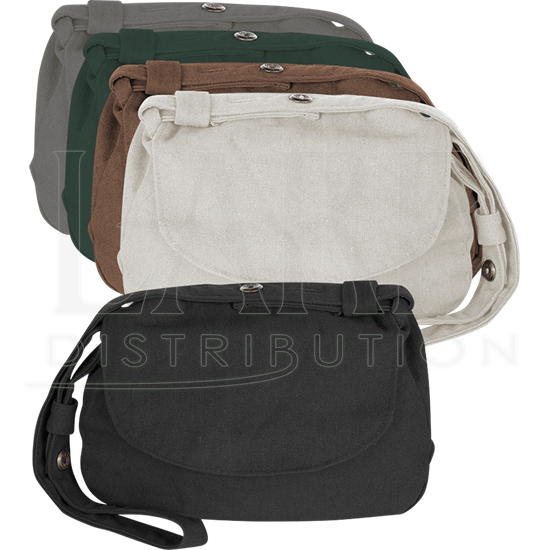 The Lynn Shoulder Bag can fulfill this role with a variety of outfits. Available in six colors, this bag is made of canvas on the outside and light cotton on the inside. An adjustable shoulder belt allows the wearer to change the length of the strap to fit their height better. A metal button detail decorates the strap. A front flap allows easy access. Its versatile design works well with modern garments and historical clothing. 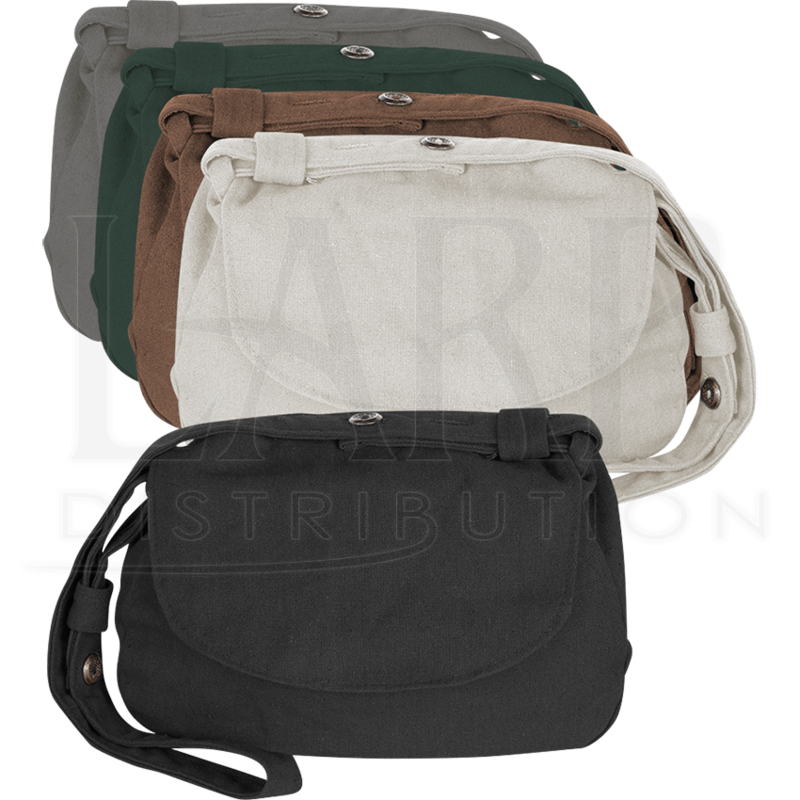 Attend a medieval faire, convention, or LARP event with this versatile canvas shoulder bag.